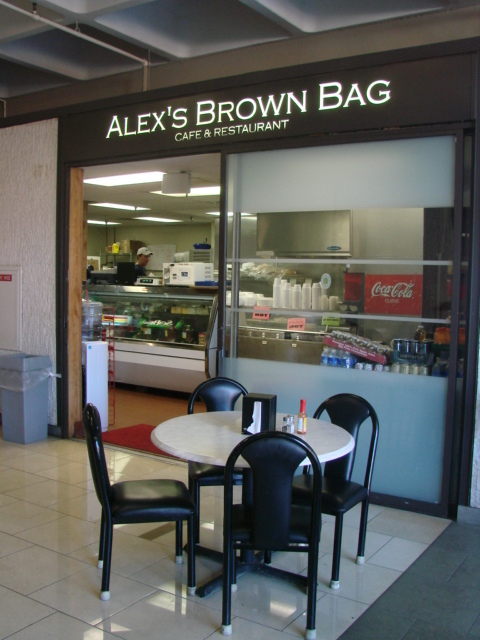 We were finally able to get to Alex's Brown Bag. This was the second stop in my quest for a great Philly Cheese Steak Sandwich in San Diego. 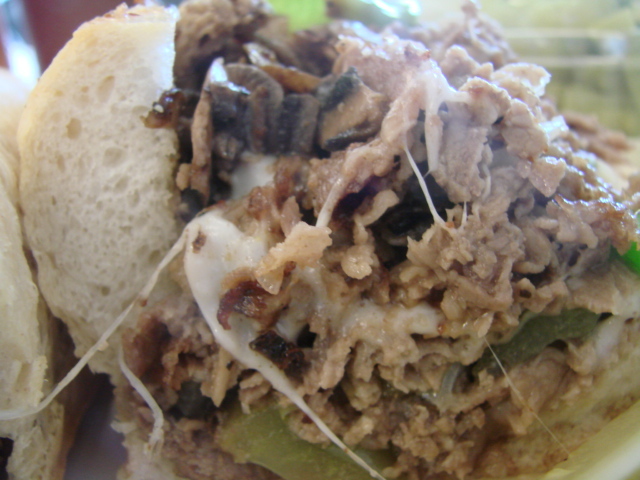 We ordered the Original Philadelphia Cheese Steak which had fried onions, mushrooms, green bell peppers and mozzarella cheese, the taste was right in there. The bread was very very good, not too chewy and didn't fall apart. Stan commented several times on how much he liked the bread. We both thought the meat was good and beefy tasting. 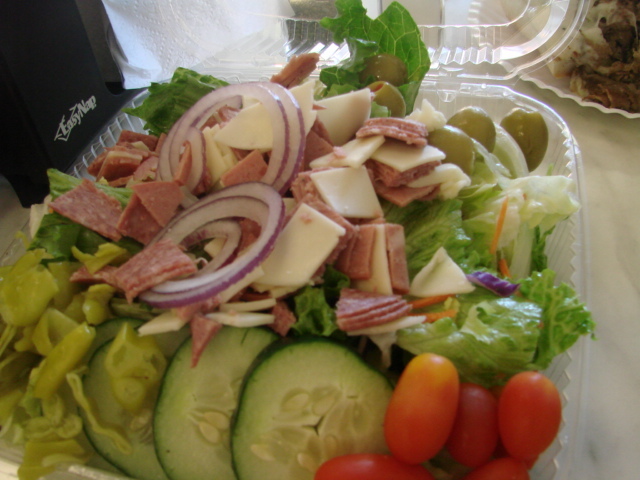 We also had an Italian salad that was chock full of meats and cheeses, olives, tomatoes, etc..... It was huge. Nice crisp crunchy greens and the Italian dressing was very good. 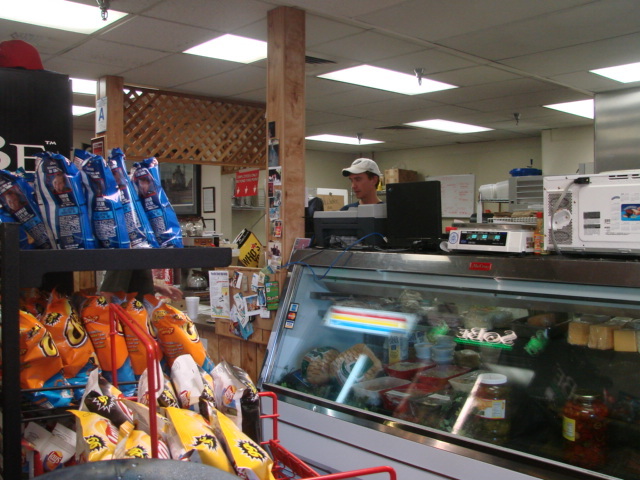 We had a very pleasant experience, it's a casual and friendly place. 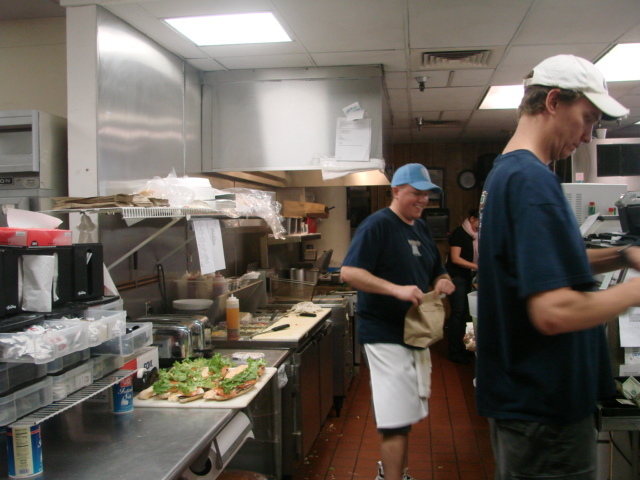 Orders are placed at the counter and the food is delivered to you. This was Stan's favorite Philly Cheese Steak sandwich so far. I've found that I prefer the "wetter" style of sandwich. Too bad they are closed on weekends, this limits our opportunities to try the rest of the menu, but we'll find a way to get back there somehow.